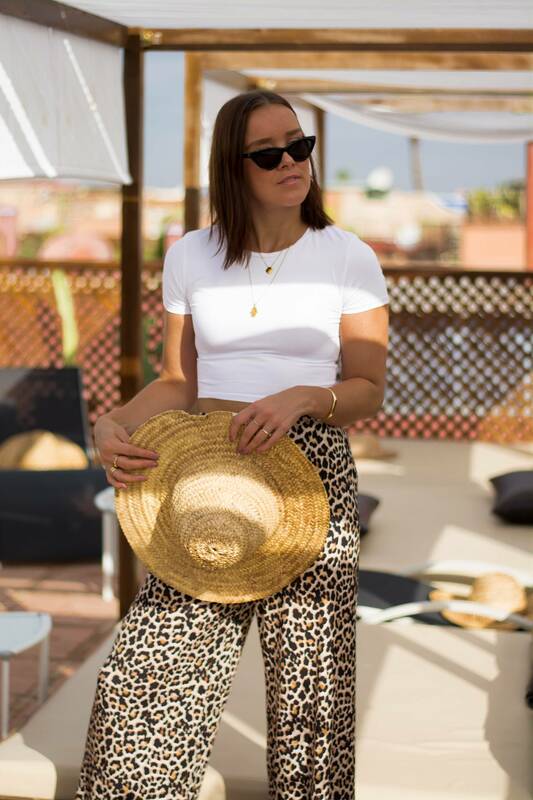 After my first travel post from Marrakech went online, today I’ve got the first outfit look from the south for you. 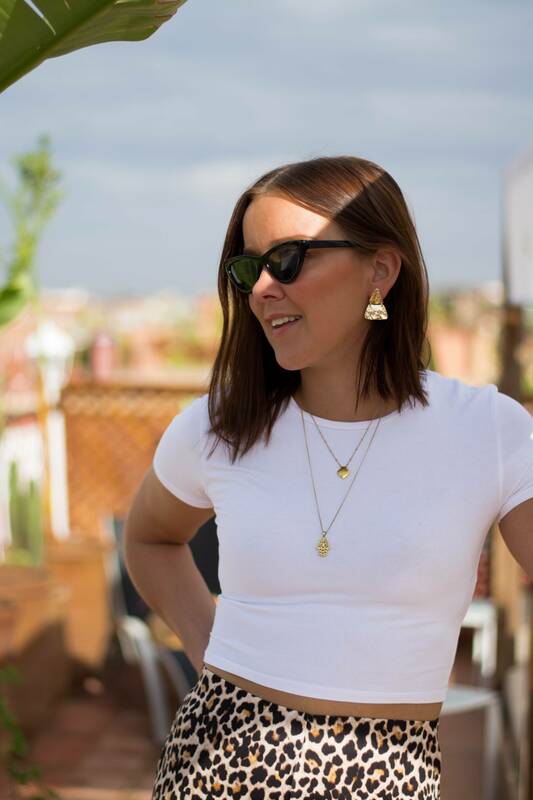 As you are probably aware of,is Marocco mostly a muslim country and therefore the dresscode might be a bit different than somewhere else with 30 degrees. So to stay cool in this heat, airy pants and long dresses are the best idea. Therefore, we packed lots of linen combinations and cotton clothing. 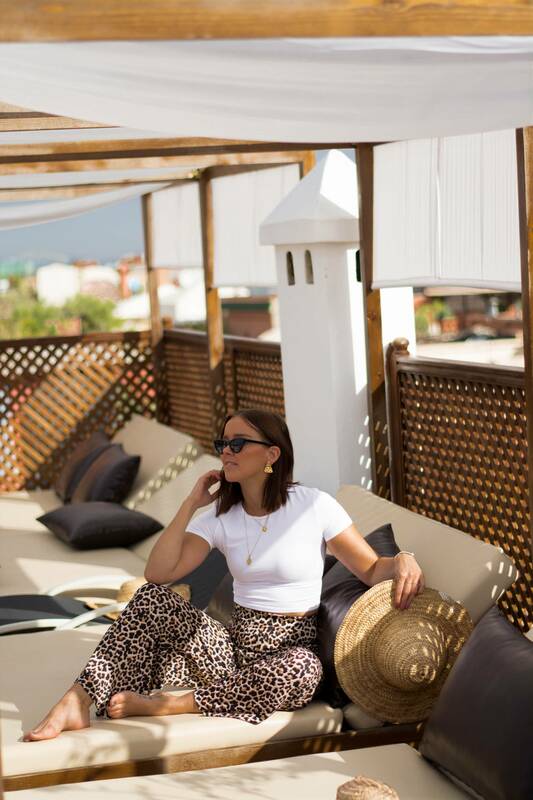 These leo pants were definitely the perfect choice for the warm temperatures and therefore we shot these pictures on the rooftp of our second riad. Anyways, the leo pattern seems to be everywhere right now. So what do you think of the big comeback of the leo? Crossbody bags or belt bags are perfect for your items & to keep an eye on.